We use the latest in publishing and graphic design software to make sure your job is done in the most efficient way possible. We use only reputable local printers to ensure top quality printing and binding. We advise on marketing and distribution strategies to get your book in stores and to the people. 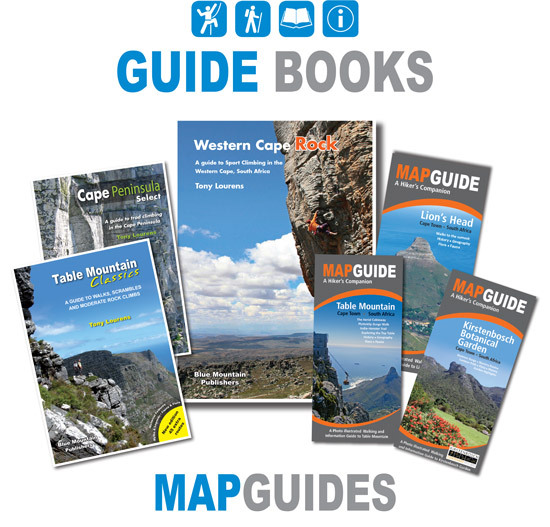 Blue Mountain has designed and published most of South Africa’s most prestigious guidebooks. Blue Mountain Publishers has been in the publishing game for 20 years and specialises in producing and publishing guides and books to climbing and hiking in the Western Cape and Southern Africa. We also help people Self Publish their own work – in any genre. Whether it is a novel, a technical manual, a guidebook, or a coffee table publication, we are here to assist you in every way to get your book out on the shelf. Give us a call and let us guide you through the process of publishing your book. 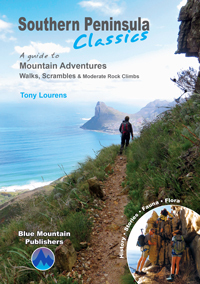 Tony Lourens, the owner of Blue Mountain Publishers, has been in the printing, graphic design and publishing business since the 1970s and has written and self published several of his own books, mainly in the field of mountaineering, which has been his passion for the past 40 years. Blue Mountain also publishes South Africa’s only climbing/mountaineering magazine called SA Mountain, which comes out 4 times a year.